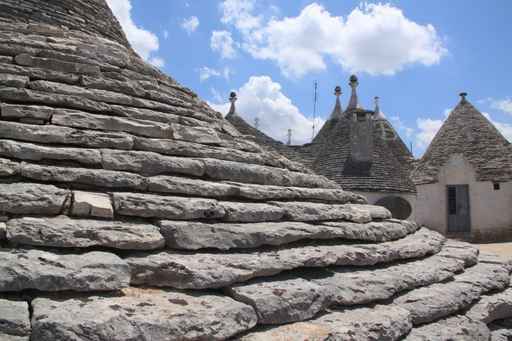 Tourists love it more and more... Apulia: land and sea. It lies under the warm Mediterranean sun for a good part of the year. Its lands are silent and majestic. They have been occupied since prehistoric times and they silently maintain its jewels in the midst of olive trees and Trullis. 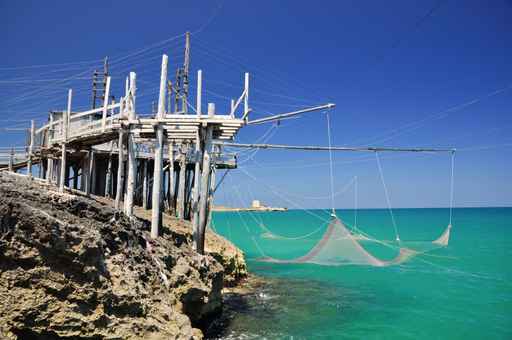 Apulia is surrounded by a sea that embraces it along its entire perimeter. Menhirs and dolmens are spread out throughout the entire region; from Capitanata to Tavoliere and to the Land of Bari. All proof of a favorable land for human settlement and coexistence between people of various origins. The Dauni, Peucezi and Messapi and their mysterious stone steles and elaborate metal and ceramic objects enrich the various small archaeological museums of Apulia with their incredible treasures. Apulia hides, in the depth of its Karstic soil, a mysterious underground world of sea caves, labyrinths of stalactites and rock churches. 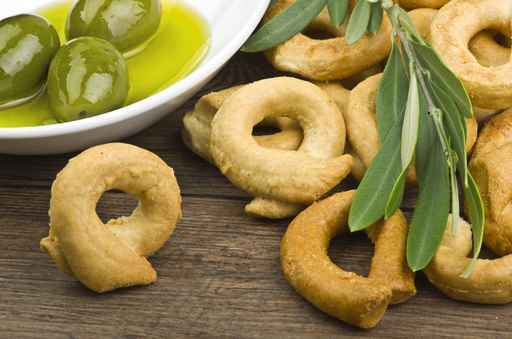 Karstic rock, stone quarries and houses, dry-stone walls and in the middle, in the heart of Apulia, the paradise of the Valle d’Itria, with its strings of fields, vegetable gardens, almond and olive tree groves and dense Mediterranean forests in an explosive mixture of colours and odours. This Karstic ridge which crosses from North to South until Salento is the Murgia. 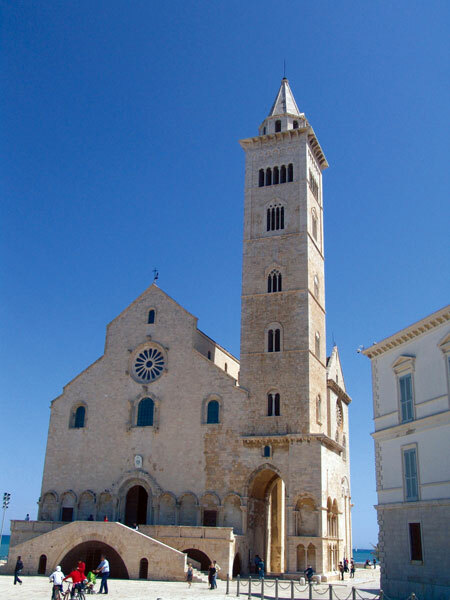 In this land of settlers coming from the nearby coasts of Greece and place of Roman settlement and military campaigns highlighted by epic episodes, Byzantines, Lombards and Arabs alternated on Apulia’s territory, Bari became capital of a domain which extended until Lucania and subject to the authority of a byzantine governor, the Katepano, whose memory is still alive in the names of the towns. 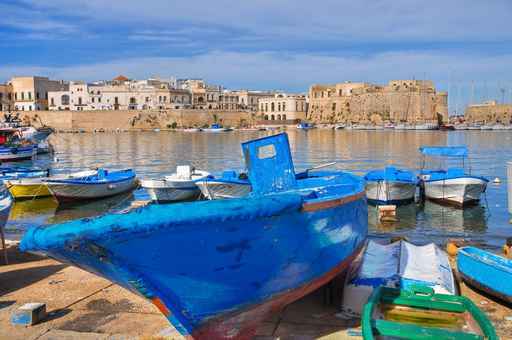 A land of passage for merchants, pilgrims and crusaders who were travelling to the Holy Land; Eastern culture and religiosities took root in Apulia, and left enduring traces in the local religiosity, cult and architecture. 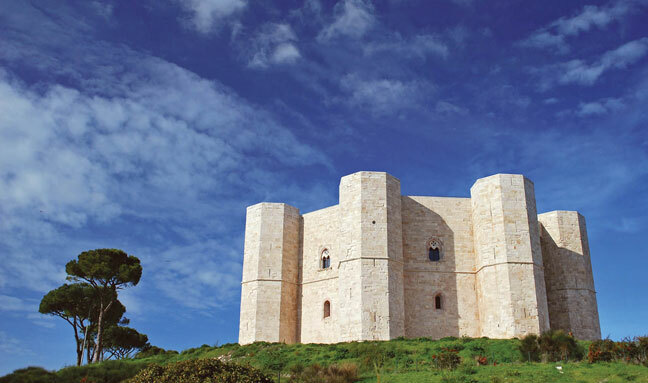 Apulia reached the peak of its material and civil progress with Frederick II, who chose it as his favourite land and built secular and religious buildings of high artistic value. 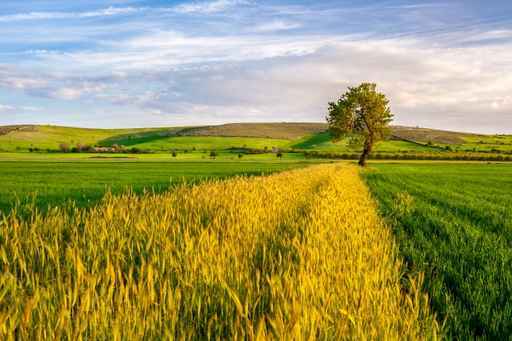 With its plains filled with wheat fields, vineyards and olive trees, Apulia was a leader in the production of wheat and oil in the Middle Ages and became the channel of exchanges between Rome and the East. Its agricultural vocation and at the same time its openness to the other lands and people will remain a tangible constant in its places where a stony landscape in metaphysical solitude alternates with verdant cultivated fields and the hills full of woods of the Appennino Dauno; towns with an Eastern appearance whose urban shape bears the unmistakable signs of the Arab urban culture contrast to the severe majesty of the castles and manor houses, such as Castel del Monte, the large fortress of Emperor Frederick II and the imposing Romanic cathedrals. Surrounded like an island by a crystalline sea which breaks on the indented rocky coast and the sandy beaches, the Gargano promontory, Italy’s spur, dominates on everything on the North, while Salento dominates on the South. Here, on the most extreme tip of the boot where the Ionian Sea and the Adriatic Sea meet, in a place called “finis terrae”- END OF THE WORLD -the different souls of Apulia emerge like masks in all their humanity before the eyes of travellers and attentive visitors, while the enchanting rhythm of the tambourine, Apulia’s music, vibrates on everything.